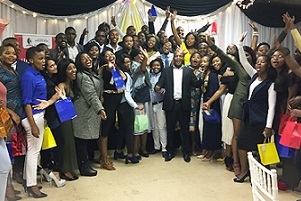 UKZN celebrated the academic successes of student leaders at a gala dinner on the Westville campus. Former SRC President on the Pietermaritzburg campus and former head of ministry at the KwaZulu-Natal Department of Arts and Culture, Thokozani Magwaza, commended the students on their achievements. Magwaza, who holds a BSocSci in human resources and psychology and a postgraduate diploma from UKZN, congratulated the leaders going on to advise them about how to be good, effective leaders. ‘Leadership is a calling. 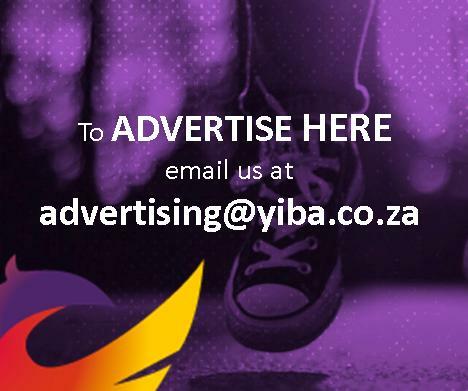 Good leaders are chosen, they don’t choose themselves,’ said Magwaza. He advised the students to maintain confidentiality when students confide in them with problems as well as encouraging them to be decisive and to embrace transparency. He cautioned against the abuse of resources, particularly UKZN vehicles. Executive director: student services, Dr Rose Laka-Mathebula, applauded the students for graduating and also serving the University’s student community. Central SRC president, Noxolo Bhengu, encouraged students to ‘be there for one another’ in their studies and wished them well in their future endeavours. Bhengu suggested students leaders receive counselling as the ‘things we see and the things we go through are not normal for people our age’. Giving the closing remarks, central SRC finance and projects officer Lwandile Mtsolo thanked all those who had contributed to the success of the event. He echoed the sentiments of other speakers by thanking Priscilla Cele of Student Services for the role she plays at the University. Student governance, leadership & development officer, Muzomuhle Mhlongo, was the programme director while the evening’s entertainment was provided by Minenhle Ntuli and Prince Gumede.